The newsletter of Friends of Eagles Nest Wilderness, apprising you of important activities in and around Eagles Nest, Holy Cross, and Ptarmigan Peak Wilderness Areas. BEFORE WE BEGIN - Applications are now open for Volunteer Wilderness Rangers. Meet, greet, and teach Wilderness visitors. Training day is SATURDAY JUNE 8. You will wear the same patch (right) as real Forest Service Wilderness Rangers. More INFO. View the application here. INTRODUCTION: "The Berlaimont plan would impact a critical wildlife area and throw that fragile stability into decline." Those are the words of Bill Andree, 38-year veteran Eagle County District Wildlife Manager for the Colorado Division of Parks & Wildlife. With elk herds in serious decline, hundreds of citizens attended a rally - "Buck Berlaimont" - on March 16 to protest a developer's plan to build a paved two-lane road extending more than five miles through the White River National Forest to a 680 acre in-holding slated for nineteen luxury houses. The road will impede migratory routes and impact winter habitat for deer (map), elk (map), lynx (map), and other species. Below, Peter Hart, Staff Attorney for,Wilderness Workshop describes in detail the impacts that the road would have on wildlife. 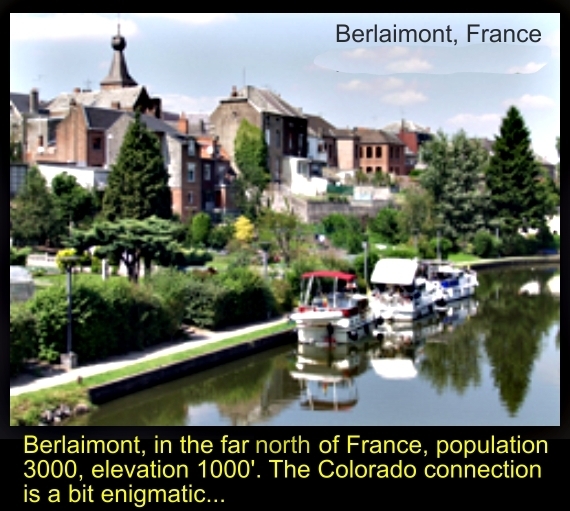 He writes, "Berlaimont Estates is not reasonable land use. It is ludicrous backcountry sprawl.… the Berlaimont Estates access road would slice the [deer] herd’s migratory route in half. It would impede migration, pave over forage, and drive away animals that increasingly have nowhere to go." Peter asks for your urgent support, seeking to convince the US Forest Service to reconsider its preliminary conclusion that the road is justified. is not reasonable land use. Having grown up in the Eagle Valley, I know it is a stunning place. Public lands and a rich natural environment sustain an amazing quality of life for local residents. Clean air and water, majestic mountains, raging rivers, abundant wildlife and recreation opportunities are foundational to the area’s character and economy. We should be uniformly committed to protecting these values. The population of Eagle County is expected to double in coming decades. That growth will seriously impact these values. More than ever before, it’s in our best interest to be thoughtful about how and where new development occurs. Yet we continue to entertain and approve land use proposals that diminish and jeopardize community values. The U.S. Forest Service is currently considering approval of a new two-lane paved road across public lands north of Edwards to facilitate development of Berlaimont Estates—19 new mansions, 2,000 vertical feet above town. The sprawling subdivision would be developed on a parcel that is completely surrounded by National Forest. Unlike other nearby neighborhoods (e.g., Wildridge and Mountain Star), public land managers must approve a new road across lands owned by you and me to facilitate this proposal. 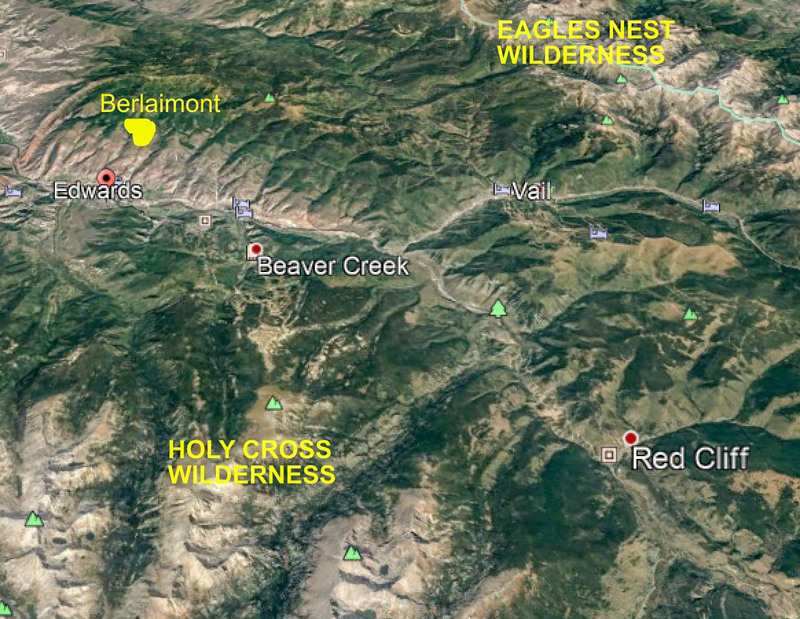 To approve the new road, the Forest Service must deem Berlaimont Estates a “reasonable” land use. Berlaimont Estates is not reasonable land use. It is ludicrous backcountry sprawl. The proposed access road isn’t a little driveway. It is a road nearly 30-feet wide, bermed, walled, plowed and paved thoroughfare switchbacking thousands of feet up a very visible hillside to provide year-round access to “estates” deep within the National Forest. According to the Forest Service’s analysis the walls necessary to support this road could be more than 1,000 feet long and dozens of feet tall. Migrating wildlife aren’t gonna just hop over these new walls. The south-facing slopes that would be impacted and bisected by this road contain some of the last best winter wildlife habitat in the area. Winter wildlife habitat is not some trivial designation; it is the most important determinant of wildlife survival during seasons when food is scarce and animals persist on starvation rations. Developing this winter habitat will reduce deer and elk populations that are already in tail-spinning decline. Old-timers remember huge herds of deer and elk in the area, so huge that migrations shut down traffic on I-70. That doesn’t happen anymore—mostly because development of the best winter range has decimated herds. These are the consequences of our decisions. Destruction of winter habitat means that landscapes no longer support wildlife in historic numbers. Importantly, these wildlife resources are unique. The Piney River deer herd is the second largest migratory deer herd in Colorado. That is something to be proud of, something to protect. But the Berlaimont Estates access road would slice the herd’s migratory route in half. It would impede migration, pave over forage, and drive away animals that increasingly have nowhere to go. The Forest Service has been trying to protect this important winter habitat for years. The 2002 Forest Plan designated this area Deer and Elk Winter Range and restricted winter use to minimize disturbance. Now, though, the agency is poised to change the plan and allow year-round access for Berlaimont residents. That will increase vehicle trips through the area from 0 per day in the wintertime now to an estimated 215 trips per day post-construction. Deer and elk aren’t the only victims. There are rare and imperiled cutthroat trout populations in already degraded Berry Creek. The area also provides important breeding habitat for sensitive birds, like the Brewer’s Sparrow, which would be impacted. Recreationists will lose access to important trails and soft surface roads if the Berlaimont road is paved. These existing values would be degraded to facilitate sprawl in the backcountry—large homes on large lots, a long way from existing infrastructure and services, resulting in disproportionate costs to the public. This kind of sprawl puts emergency responders (e.g., fire fighters) at greater risk and contributes disproportionately to degradation of the environmental values we all cherish. 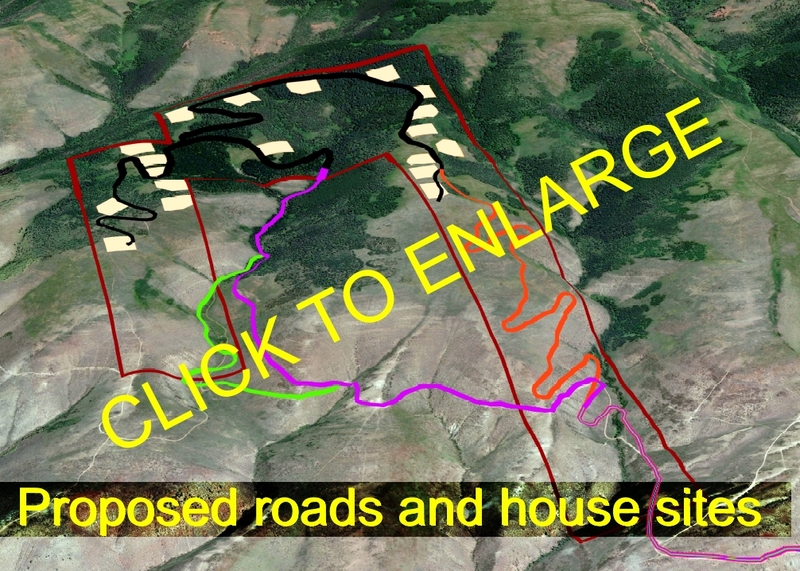 So, please tell the Forest Service that it is not reasonable to pave sensitive habitat on public lands for access to this new subdivision. Submit comments here. Please also call the Eagle County Commissioners at 970-328-8605 and urge them to actively oppose the Forest Service’s proposal to pave this road, and to stay strong in opposition should the project come before them again in the future. ABOUT PETER HART: Peter credits formative adventures in the Eagles Nest Wilderness and other wild public lands around his childhood home in Vail for sending him on a trajectory to become a public land law attorney. Peter now works as the Staff Attorney for Wilderness Workshop (WW) in Carbondale, primarily watchdogging proposals that land managers are considering on the White River National Forest and other nearby public land. For more than a decade Peter has been the lead in WW’s work to protect the Thompson Divide, but his docket also includes reviewing proposed actions like oil and gas lease sales, agency rule changes, timber projects, and recreational developments impacting public lands. He files technical comments on Environmental Impact Statements and works with outside counsel on legal actions. 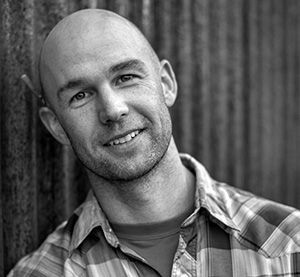 After graduating from high school at Vail Mountain School, Peter earned a degree in American History and Environmental Policy from Carleton College, and then a law degree and master’s of environmental law from the University of Denver. He clerked for the water rights division of the Colorado Attorney General’s Office, worked on endangered species claims at the University of Denver Environmental Law Clinic, and worked on toxic tort litigation at a Denver law firm. He enjoys riding his bike and spending time with his family, including raising two young boys with an appreciation for the great outdoors. A huge thanks to ARAPAHOE BASIN SKI AREA. For more than two decades, A-Basin staff have donated generously to their Employee Environmental Fund, of which FENW has been a steady beneficiary. Last year, more than 150 employees donated, led by A-Basin Director Alan Henceroth. Our enduring THANKS! Business Sponsor SPOTLIGHT on one of our two major business sponsors. Developed by an oncologist for post-radiation skin therapy, Elite products provide soothing anti-aging benefits that are of special use in our intense, high altitude sunshine. Supplier to Support ELITE -support FENW. Join us in 2019 - There are many ways to take part! Our 2018 Trail & Campsite Projects, led by Trail Boss Kate DeMorest, took us to Slate Lakes, Piney Lake, Salt Lick Trail, Gore Creek, Deluge Lake, and more.We were greatly aided by two very special friends - Dom and Powell - LLAMAS! Join us in 2019 - learn more HERE. Volunteer Wilderness Rangers met more than 10,000 wilderness visitors in 2018. Become a VWR in 2019 - training will be held on Saturday, June 8. Learn more here. The Spring 2019 hard copy newsletter will be ready soon. Sent by mail, it will contain two dozen fun and informative articles, all of them about FENW - past, present, and future. If you didn't receive last fall's edition, then we don't have your mailing address - please send it to us at info@fenw.org .